Are WE Committed To Trust? This one hits home! Well they all do in a way but this one does particularly because right now, the things I feel called to move forward on in my career look impossible and make no sense, financially or otherwise. Call it crazy, but I’m trusting that God is leading and moving me in this direction. Here are a couple of things that hit me in the face today, from our friend Oswald Chambers–who, by the way, I learned was also an artist–no wonder I like him. I wonder where God would take us if we really took Him at His word here . . . In spiritual issues it is customary for us to put God first, but we tend to think that it is inappropriate and unnecessary to put Him first in the practical, everyday issues of our lives. . .
Don’t plan with a concern for evil in mind. Does God really mean for us to plan without taking the evil around us into account? . . . When we were APART from God, we did take evil into account, doing all of our planning with it in mind, and we tried to reason out all of our work from its standpoint. Don’t plan with a rainy day in mind. You cannot hoard things for a rainy day if you are truly trusting Christ. Jesus said, “Let not your heart be troubled . . .” God will not keep your heart from being troubled. 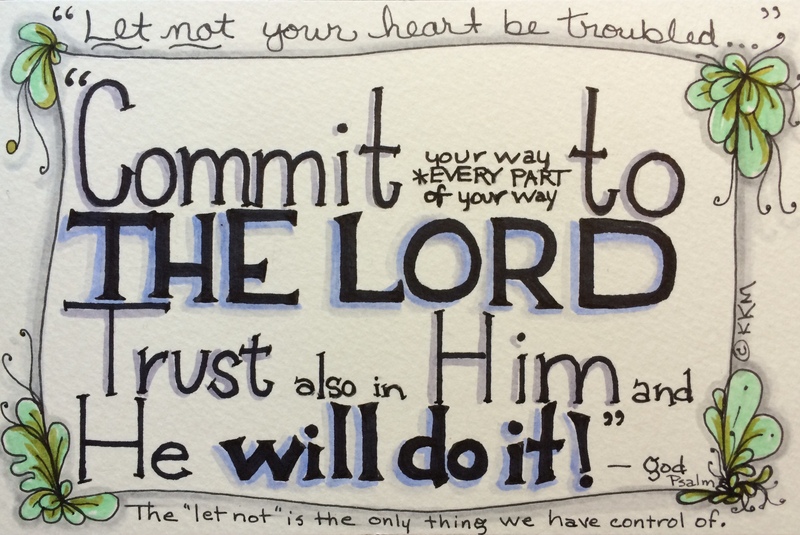 It is a command–“Let not . . .” To do it, continually pick yourself up, even if you fall a hundred and one times a day, until you get into the habit of putting God first and planning with Him in mind. Well, I’m moving forward with my plans–no matter if it seems to make sense fiscally. How about you, what God plans have you held off on–waiting for it to make sense? I think the key is this–at EVERY point and juncture, stop to have a conversation with God and put your plans back into His hands. Then–trust that He is the one working things out for that very moment–not for days or weeks or years ahead. Trust IN THE MOMENT and keep walking–don’t fret.